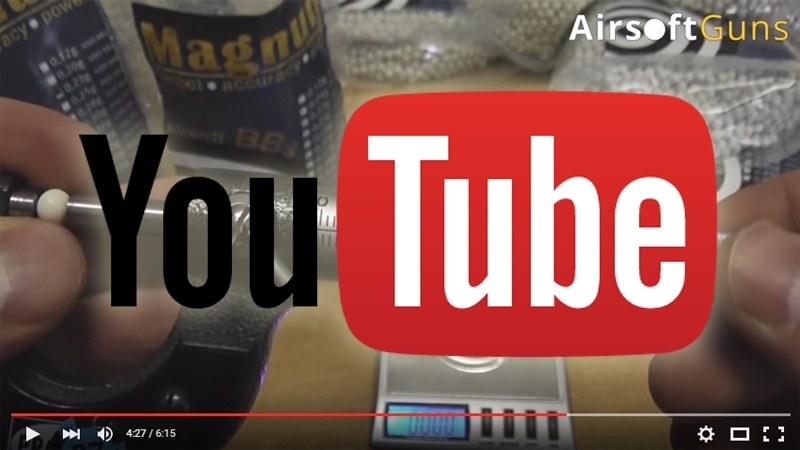 After a long time we dust off the camera and shoot a short video test airsoft BBs Magnum. With the new airsoft BBs always comes uncertainty. Use, do not use, to trust, do not trust ... So we conquered BBs measuring the diameter and weight. On the search results you can look yourselves. We tested the BBs in many upgraded and powerful weapons. The results were excellent, especially at higher weight of 0.30g or more. Shooting with heavy white BBs with powerful weapons brings far greater satisfaction and efficiency in the game. Forget black, red, or green BBs that is not visible. Try new Magnum BBs!